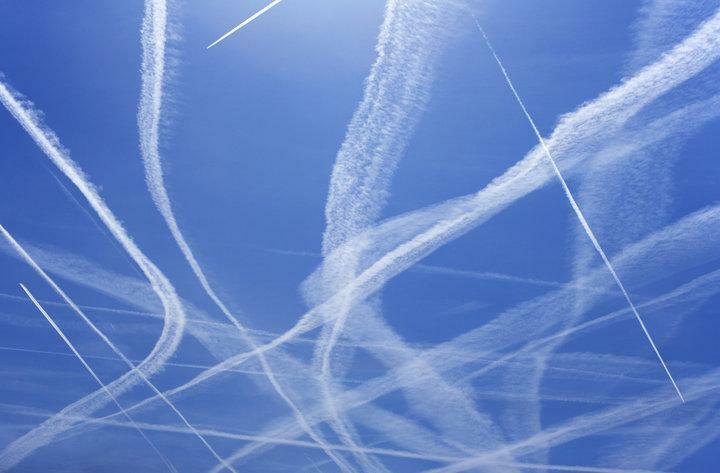 The report is one of the most in-depth and modern study yet of "stratospheric aerosol injection" (also known as "solar dimming" or "solar engineering" and or in the conspiracy community - "chemtrails"). 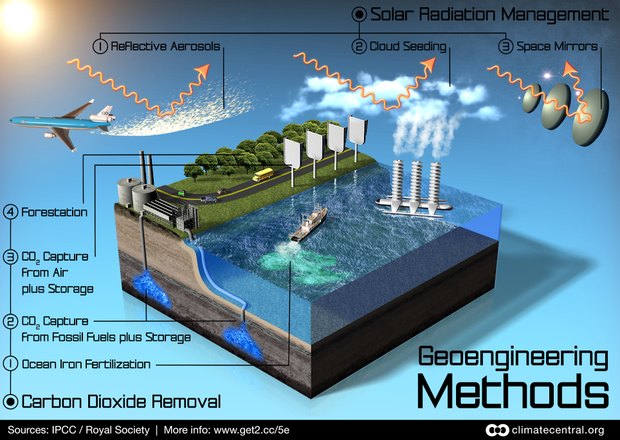 Researchers examined how effective and expensive a solar geoengineering project would be beginning in the early 2030s. 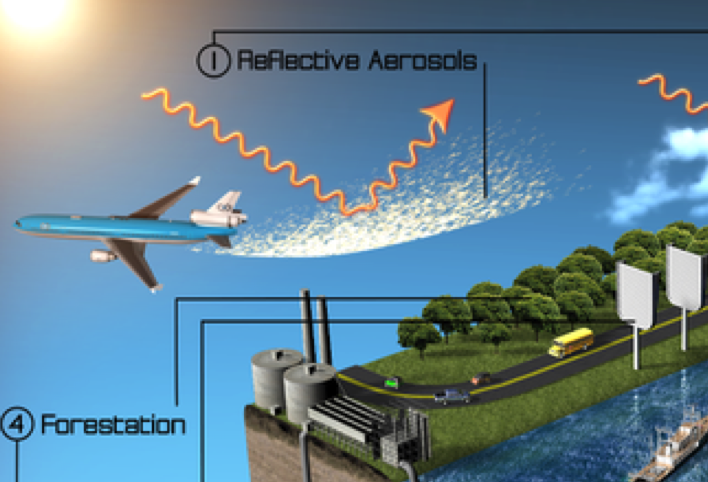 The goal of the program would be to halve the temperature increase caused by heat-trapping greenhouse gases, sort of like the global cooling effects of volcanic eruptions.